tutorial|How to Manage Videos Using 3uTools? How to Manage Videos Using 3uTools? 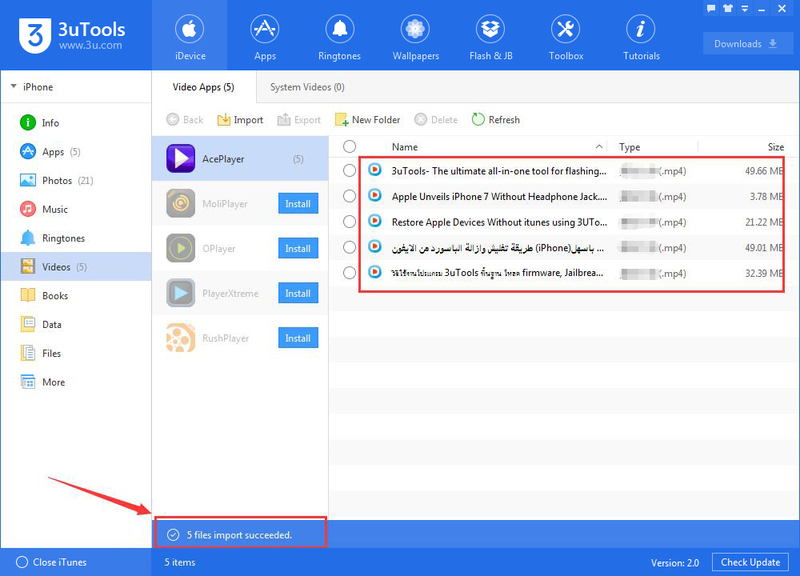 How to import videos from PC to iPhone using 3uTools? 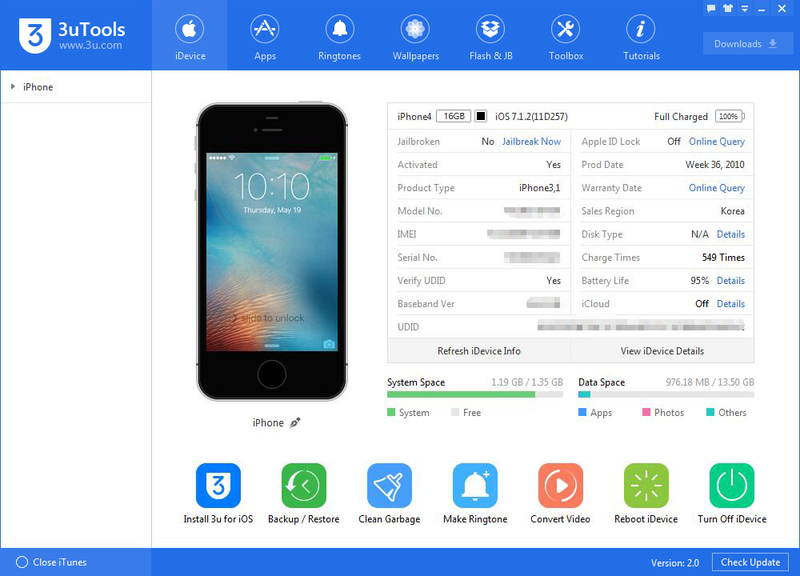 How to export videos from iPhone to PC using 3uTools? How to delete videos using 3uTools? 1. 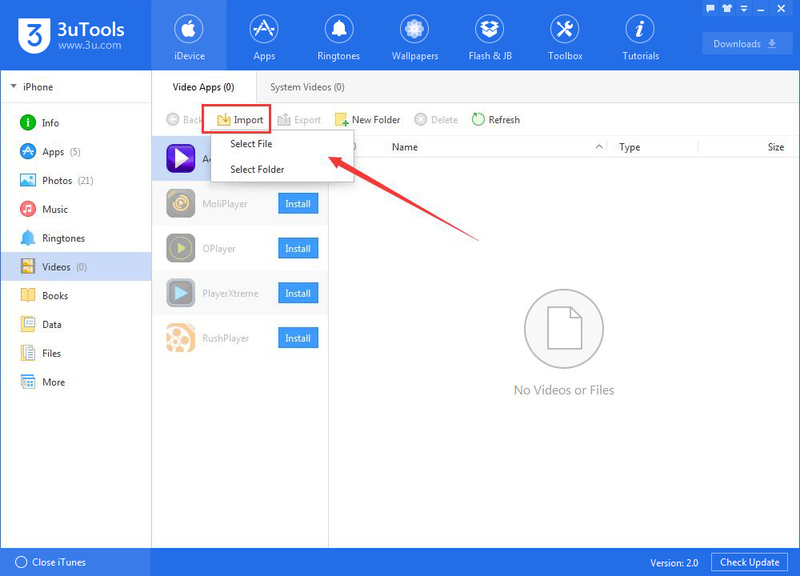 How to import videos from PC to iPhone using 3uTools? Step2: Click "Videos" on the left side, then 3uTools will give you a reminder that " 'MoliPlay' Not Installed”. At this moment, you need to select and install one video player. Please click “Install”to download and install it. Then wait till this process is completed. 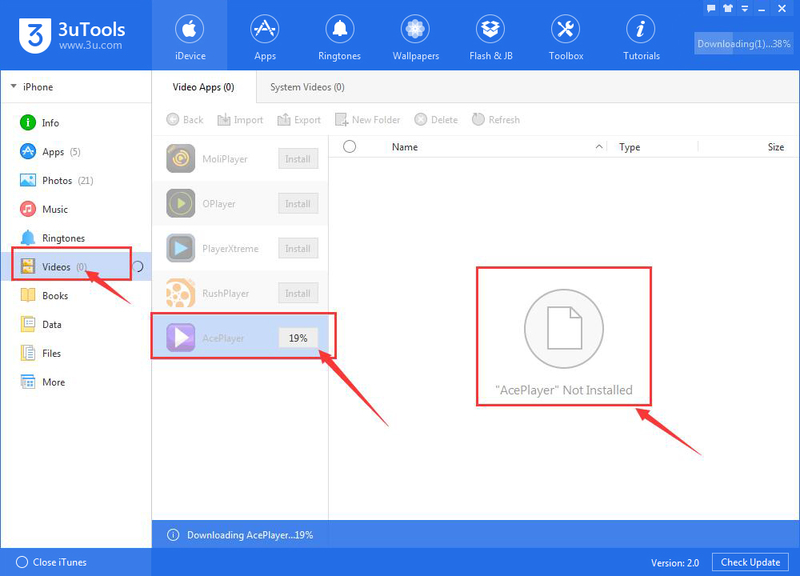 Step3: As shown in the following picture, you succeded to install "AcePlayer" on your iPhone. Step4: Then click“Import”to import videos from PC to your iPhone. *Supported video format: all video formats. Step5: After the videos are selected, please click "Open" on the bottom right corner. 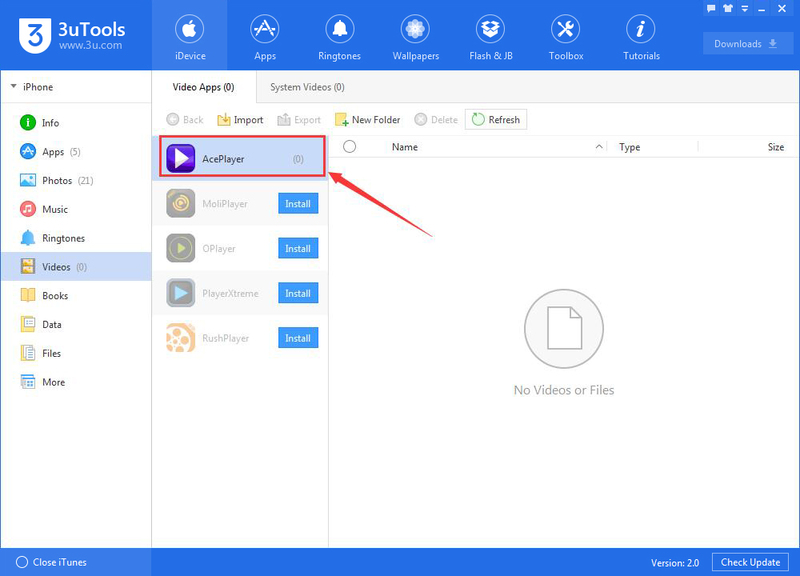 Step6: Then 3uTools will import videos from PC to your iPhone. Please wait till this process is finished. 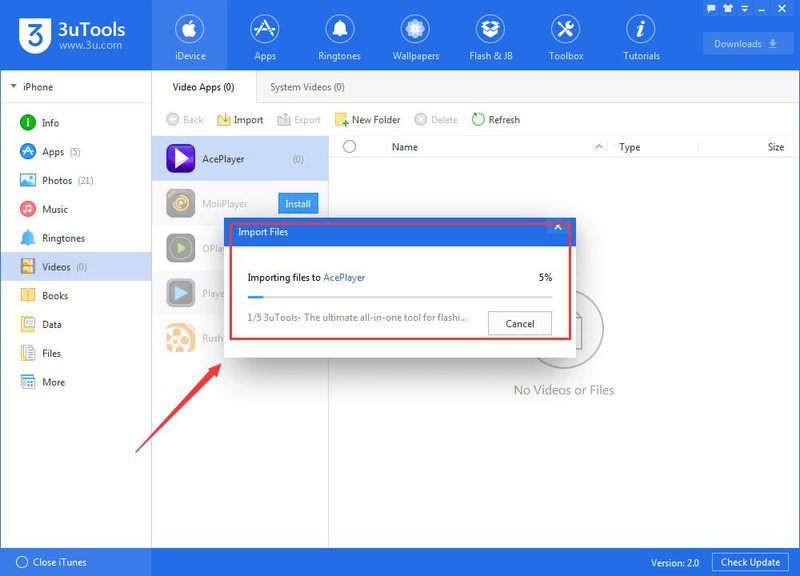 Step7: After videos are successfully imported, 3uTools will show you a reminder that “5 files import succeeded”. Open the “AcePlay”of your iPhone → click “Media Explorer”→ click “Document”, then you can view all the videos. 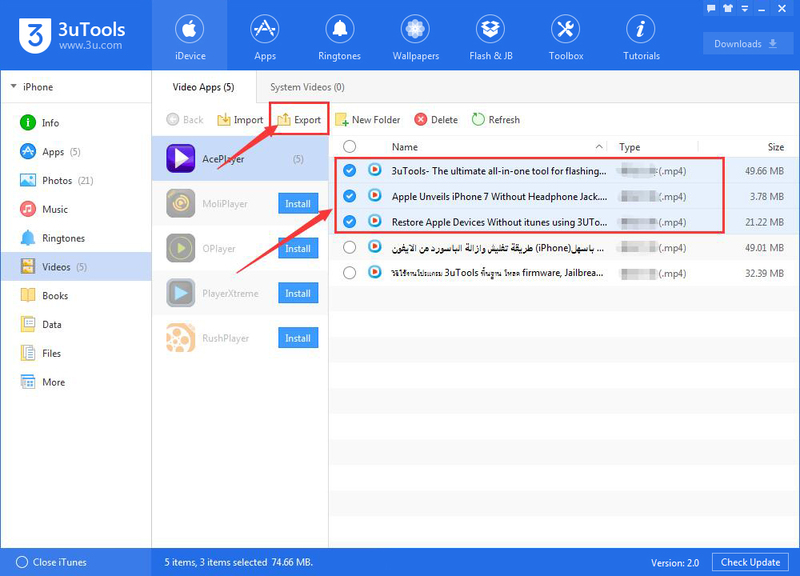 2.How to export videos from your iPhone to PC? Please select the videos you want to export from iPhone to PC, then click “Export”. 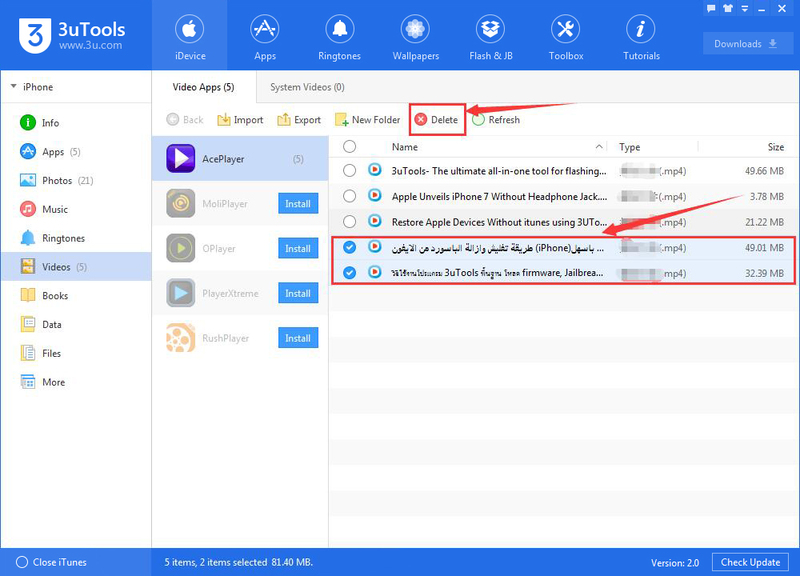 3.How to delete videos using 3uTools? You can directly delete videos on your iPhone. In addition, you can also select the videos you want to delete, then click “Delete”.